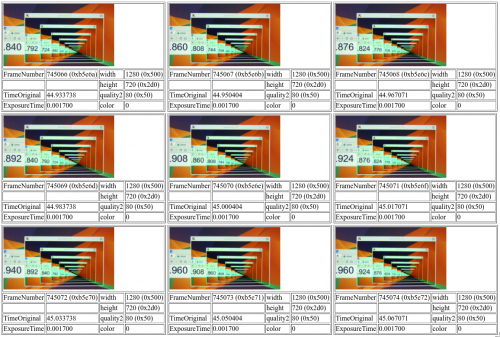 Recently we had an inquiry whether our cameras are capable of streaming low latency video. 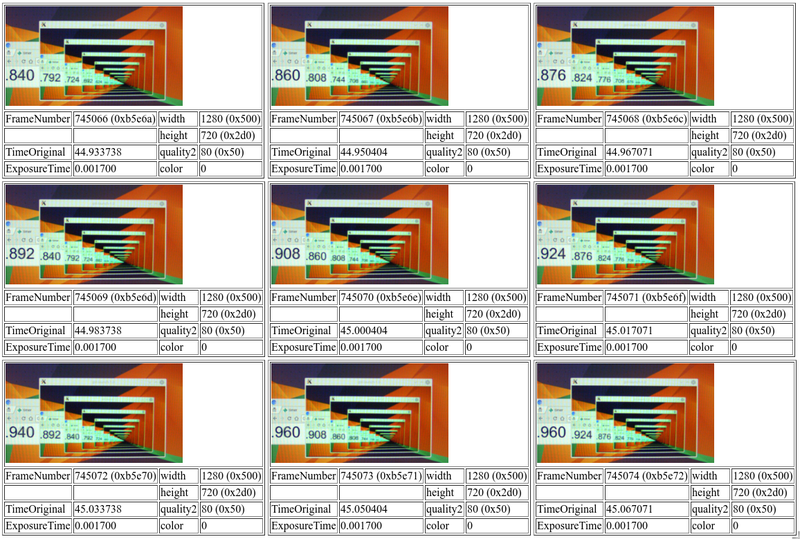 The short answer is yes, the camera’s average output latency for 1080p at 30 fps is ~16 ms. It is possible to reduce it to almost 0.5 ms with a few changes to the driver. However the total latency of the system, from capturing to displaying, includes delays caused by network, pc, software and display. In the results of the experiment (similar to this one) these delays contribute the most (around 40-50 ms) to the stream latency – at least, for the given equipment. 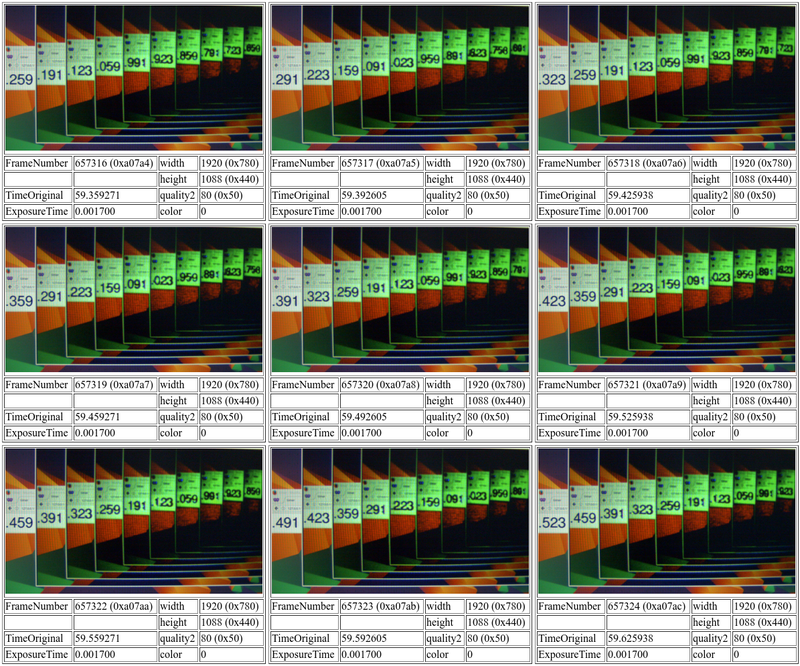 Measure the total latency of a live stream over network from 10393 camera. All numbers are for the given lens, sensor and camera setup and parameters. Briefly. Because of ERS each row’s latency is different. See tables 2 and 3. Table 3: Average latency and the whole range. tEXP < 1 ms – typical exposure time for outdoors. A display is bright enough to set 1.7 ms with the gains maxed. The compressor is implemented in fpga and works 3x times faster but needs a stripe of 20 rows in memory. Thus, the compressor will finish ~20/3*tROW after the whole image is read out. Since the image is read and compressed by fpga logic of the Zynq and this pipeline has been simulated we can be sure in these numbers. GStreamer has shown the best results among the tested programs. Currently, the driver waits for the interrupt from the compressor that indicates the image is fully compressed and ready for transfer. Meanwhile one does not have to wait for the whole image but start the transfer when the minimum of the compressed is data ready. There are 3 more interrupts related to the image pipeline events. One of them is “compression started” – switching to it can reduce the output latency to (10+20/3)*tROW or 0.4 ms for 720p and 0.5 ms for 1080p. 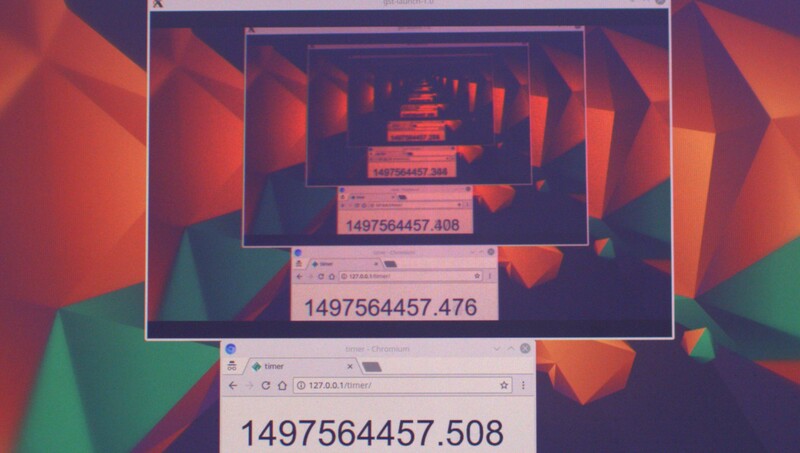 This video compares different displays.